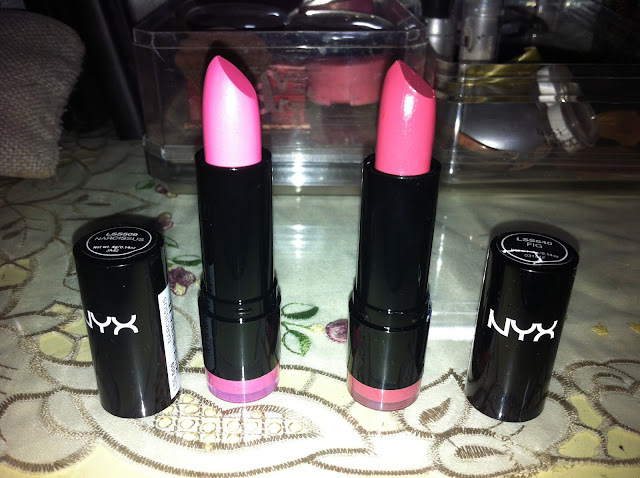 I love NYX products, very good quality & affordable too. I used to find them in the U.S. but not in Europe and Certainly not in Egypt. I found it in UAE but it had a terrible display so I didn't buy from the store. The texture of the lipstick is so creamy and soft. 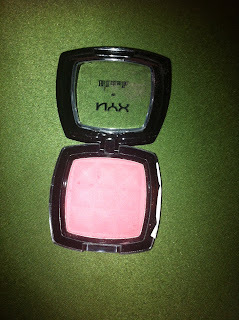 It glides amazingly on my lips, cures chapness and dry lips. The only downside to it is the smell. Its smells moreof an anti bug aerosol to me, but its not a strong smell, so I can live with it. 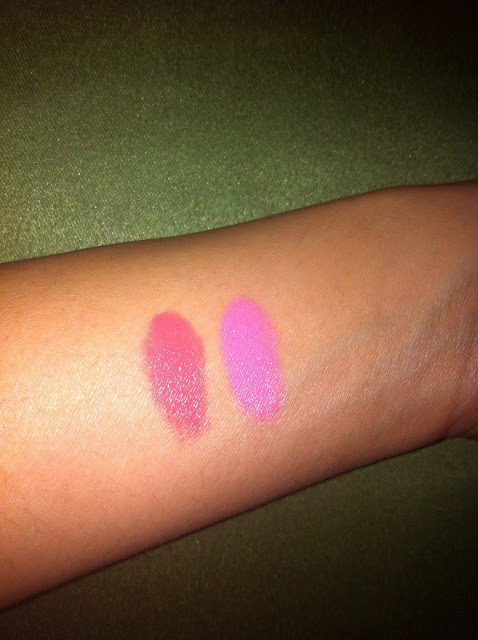 The lipstick is highly pigmented that even the swatches below are light, I didn't have to press heavily or anything, not like what I usually swatch with other lipsticks. This lipstick doesn't smudge like the usual creamy textured lipsticks, but it stays well on my lipstick with eating & drinking that it lasted 4 hours without retouching (and I dunno if it would even have lasted longer). 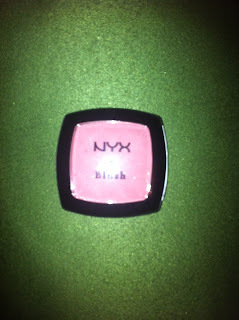 Narcissus is a barbie pink color with little blue undertones. I thought It would only suit fair-skinned girls with European complexion because of its undertones, but in fact, it suited me perfectly, except I cannot wear my usual pinky blusher. Instead I had to wear lots of bronzer with contouring my cheekbones, which is my favorite look for spring. Fig is a warm dusty rose, suits ALL skin colors. You can wear it day to night, with heavy smokey eyes or natural everyday look. I think this shade should be in every girl's bag. This Blush is amazingly creamy, non- scented, doesn't cause breakouts, leaves a fresh dewy look on your face, blendable, not sticky or greasy, and it stays all day. 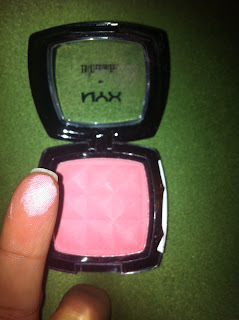 Boho Chic is a very light sheer pink, doesn't suit my shade much as it looks like its barely there. On a second thought it would work only for a day practical look. 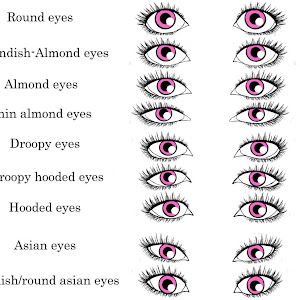 However, it won't suit dark skin tones. 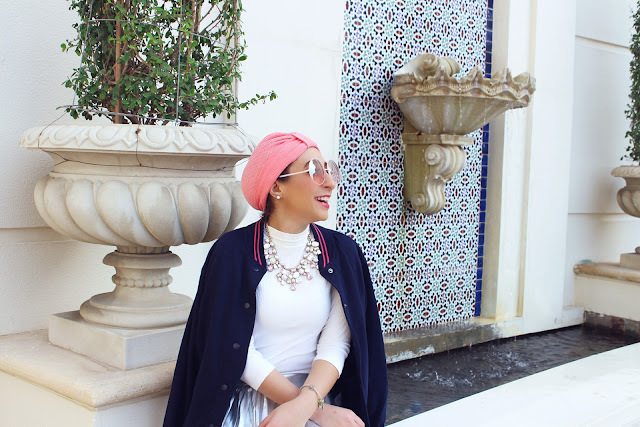 Natural is a light peach color, suits skin colors from fair to medium beige, other than that it won't show and then you should shift to a darker shade of that hue which is Glow. This is by far one of the best concealers I have ever used (more of a corrector than a concealer actually). 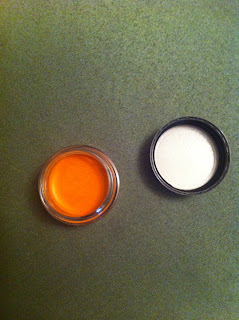 However, the only mistake I made is I bought the wrong shade as the orange needs someone who is at least 3 shades darker than my skin tone (I'm an NC20- Light Ivory beige). I think I'm going to purchase the yellow corrector instead which I'm sure would work perfectly with me. It doesn't grease, fade and a very small can do the job. 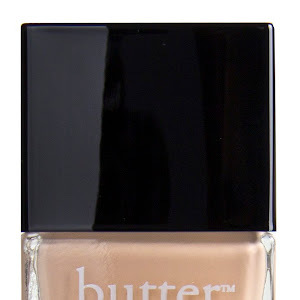 This concealer has a variety of 6 shades and 4 shades of corrector. However, don't be decieved by the small pot as I'm sure it will last a year, even if you used it on a daily basis, if not more. 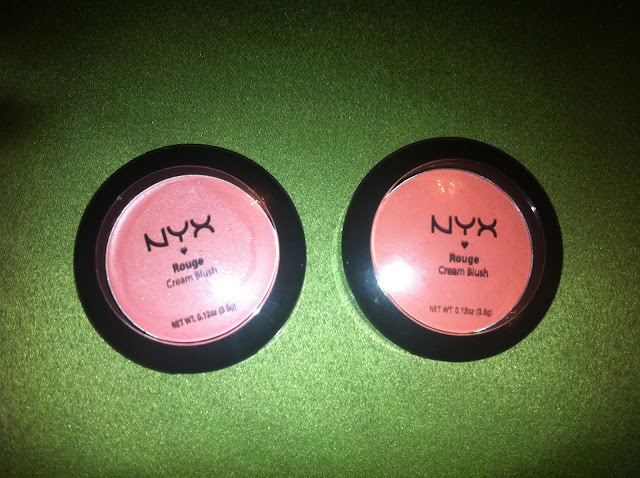 NYX, I believe, has a serious problem with labeling and naming their product shades. 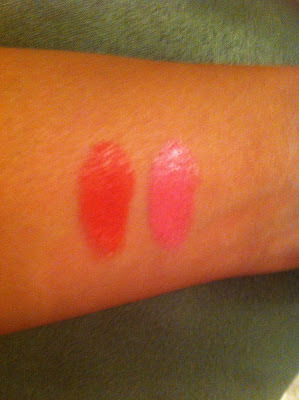 This is not by any means a peach shade as stated, but a soft pink as obvious from my photo above. 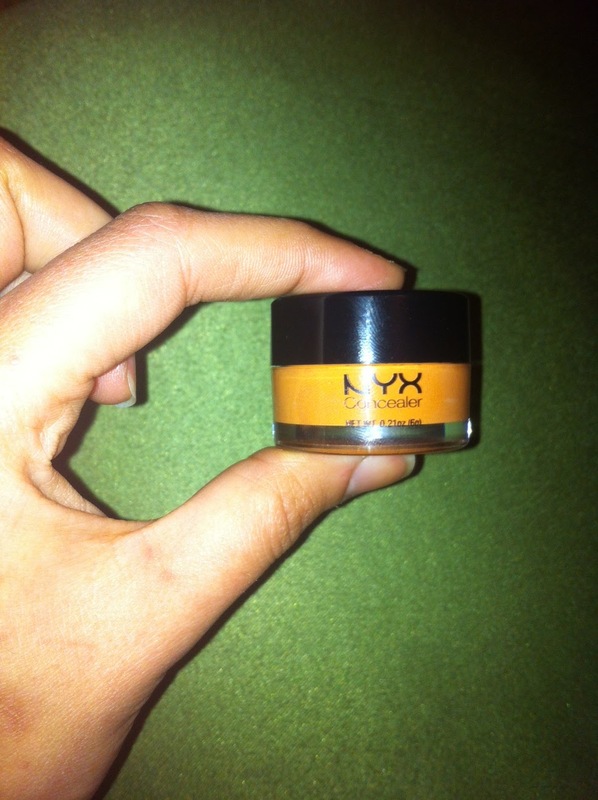 This 5.2 grams of product has an amazing list of shades. It has a beautiful texture on your skin, no shimmer (although I believe some shades has shimmer). I have only one concern too that it has Talc in its ingredients. 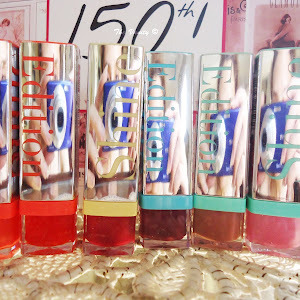 Other than that, for that price of 55LE, I guess it can compete with Lancome's & Clarins too. 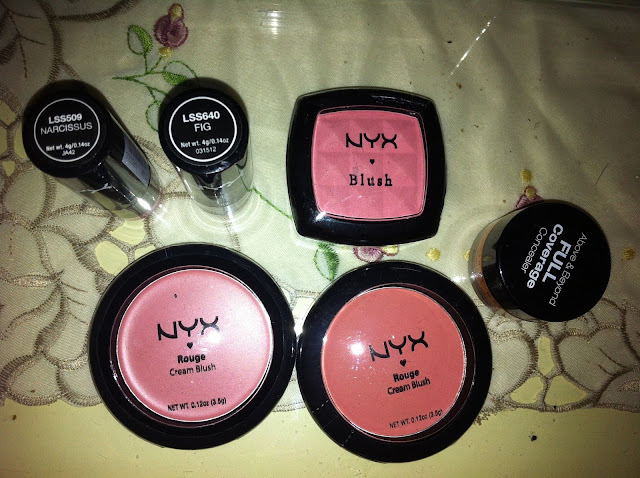 Which products would you reccomend from NYX? What a review girl! When I read ur blog I felt that I want to buy the same products u bought! I love the part where u actually try it on ur hand! Wonderful, chapou! Thanks dear, its never late for any comments :) . 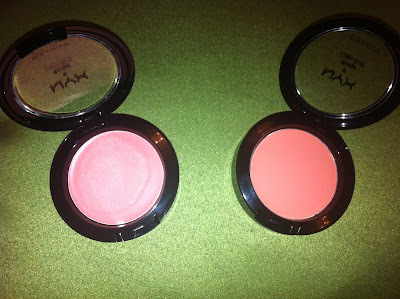 I did hear alot about the Tea rose and Addis Ababa that I'm actually considering buying them next month, even i'm a MAC F&B C2 but I believe those two shades are universal. please keep recommending products for me to try , and if you are quite hesitant about a product , let me know and I'll review it for you.